The nineteenth century was a century of actors. The twentieth century was a century of directors. The twenty-first century is a century of spectators. With Jacques Rancière’s The Emancipated Spectator (2009) being the most discussed theatre-related text of the last decade, there is an increase in scholarly and curatorial interest in the most mysterious, potentially dangerous and, in fact, most important participant of the performance, who stays silent, motionless, and hidden in darkness: the audience. And similarly, artists desire to finally ‘meet the spectators’: to let them speak, get into a dialogue with them, invite them to involve themselves in pursuing the performance. To liberate the audience. There are many different factors that contribute to this unexpected turn. Probably the most important one is the importance of political theatre today: artists engage in contemporary social and political issues, and scholars highlight performative aspects of political life and political aspects of theatre performances. In the world where democracy, activism, and freedom of speech become more and more important (and more and more endangered) values, theatre shouldn’t be a place where one is supposed to remain passive and silent and to accept everything that is said. Just the opposite: theatre has the potential to become a kind of ‘rehearsal space’ for democracy, a place where one’s encouraged not only to observe, but to be critical, active, and responsible for what is happening (like in Bertolt Brecht’s ‘Lehrstücke’ (‘Learning Plays’) and in Augusto Boal’s idea of ‘spect-actors’). Instead of traditional theatre that focused on the idea of passive people whose fate and destiny was decided by the gods (like puppets on strings controlled from above by artists), the contemporary world demands a different model: showing people that fate and destiny is their hands and they can change the plot of their lives (and change the world) in each moment. Just as they can change the shape of performances participating in them. But there are other important factors as well. One of them is how new media have changed the way information is received – in interactive, selective, and dialogical ways. The gap between ‘old-fashioned’ spectators sitting in front of the radio or television and today’s video game players and internet users is huge – new consumers of information and entertainment literally take matters into their own hands, choosing preferred content, navigating the story in non-linear, network style, commenting, and adding their own content. There’s also been a significant shift in theory that has put the audience into the spotlight. 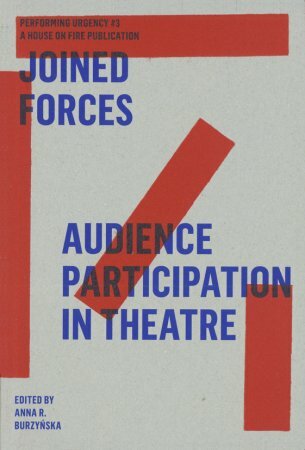 Performance studies stretched the meaning behind the word ‘performance’ far beyond traditional theatre with stage and audience, incorporating ideas of contemporary anthropology, sociology, and philosophy of language into theatre studies, proving that in our everyday life we are all performers and spectators – at the same time. Also postdramatic theatre – as described by Hans-Thies Lehmann (2006) – very often requires the spectators to become active co-writers of the performance. For a very long time, one of the most powerful weapons of political theatre (from fin-de-siècle cabaret through Dadaists, Futurists, and Bertolt Brecht to Christoph Schlingensief) was offending the audience (to quote the title of the Peter Handke’s play from 1966). Revolted, left-wing artists tried to provoke conservative middle class audiences in the principle of ‘épater le bourgeois’. Now strategies are different: more and more, artists try to invite members of audience – especially those who are for some reason (economic, racial, cultural, religious, gender, language, etc.) excluded from society, have no political power and no chance to make their voices heard – to make theatre together. Art becomes much more powerful when performers and spectators join forces. Hence the title of the book. Joined Forces: Audience Participation in Theatre presents various examples of audience participation in theatre linking them to problems of participation in democracy and to socially engaged art. Making theatre is always a political statement – asking about audience participation practices is asking about the possibilities of making changes both in art and in politics. The core part of the book consist of 11 essays and interviews. Artists from different countries were asked to reflect on the idea of participation, to share their experiences and write about their successes and fails, hopes and doubts. While it’s impossible to create a map of participatory art, choosing (nearly) a dozen various representative and remarkable examples can help to outline the situation of contemporary political, audience-engaging theatre as seen by its creators themselves. Contributions by Ophelia Patricio Arrabal, Elena Basteri, Lotte van den Berg, Roger Bernat, Justine Boutens, Anna R. Burzyńska, Adam Czirak, Johanna Freiburg, Helgard Haug, Stefan Kaegi, Tobi Müller, Dominique Nduhura, Antoine Pickels, Adelheid Roosen, Tom Sellar, Roberto Fratini Serafide, Jan Sowa, Bastian Trost, Miriam Tscholl, Tea Tupajić, Ana Vujanović, Daniel Wetzel, Wojtek Ziemilski. A publication by House on Fire, Live Art Development Agency & Alexander Verlag Berlin. The book series Performing Urgency is supported by the Culture Programme of European Union. Band 3 der von Florian Malzacher herausgegebenen englischsprachigen Reihe Performing Urgency. Im Kontext heutiger Politik, Wirtschaft und sich permanent verändernden kulturellen Trends kommt das traditionelle Theater mit seiner Trennung von aktiven Darstellern und passiven Zuschauern immer mehr aus der Mode. Zeitgenössische Künstler emanzipieren ihr Publikum, laden es auf die Bühne und in die Performance ein, beleidigen und provozieren es und erproben verschiedenste Techniken der Teilhabe. Das Buch verbindet zahlreiche Beispiele von Publikumsbeteiligung mit Problemen der Partizipation in Demokratie und sozial engagierter Kunst.